Brooklyn is constantly evolving. Here, you can eat in a restaurant that grows food on its rooftop while sipping beer or whisky made just a few blocks away. You can head further south to find old-school pizzerias with the same greasy-shirted guys who have been behind the counter for years. Tons of faces come and go daily, with rapid gentrification seeping deeper and deeper into Brooklyn’s roots. The Brooklyn film scene has also changed -- how and where films are made, and how and where you watch them, are largely different from what used to be back in the day. For filmmaker Adam Lucas, who loves everything about Brooklyn, filming here is a beast to take on. 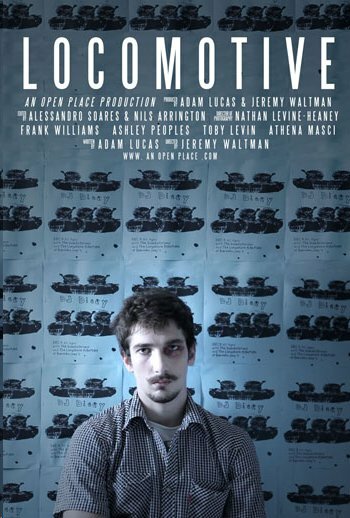 Lucas is co-owner of the three-year-old Brooklyn-based film company An Open Place Productions, and writer/producer of their recent feature-length, documentary-style release, Locomotive. His friend Jeremy Waltman, an assistant professor of art at Young Harris College in Georgia, is the other half of the team. For Locomotive, they had a crew of about 10-15 people using Canon cameras to shoot, he said. Despite the small crew, they mostly avoided shooting in Brooklyn. “They’re overwhelmed here by people doing exactly what we’re doing,” he said. They filmed some of the movie at Brooklyn Flea, a popular outdoor flea market, but moved the rest of the operation to Philadelphia, where they were able to shoot for free, were offered extra hours from bar owners, and had quick and efficient communication with the city regarding permits, he said. Locomotive has received a Royal Reel Award from the Canada International Film Festival, and has been offered a showing at the New Hope Film Festival this summer. For their next film, Adam is heading to Georgia for filming. With two editors in L.A., a sound guy and cinematographer in New York, and an editing lab in Georgia where Waltman’s class is building their next movie sets, they find a way to make it work. It’s fun figuring out how to “make [a] film with less,” Adam said. After moving to New York from Italy in 1988, Ursino attended St. John’s University for film and learned to work behind the camera. With talent, not much money is required to make a film, he said. “Of course if you’re a lemon, you’re a lemon; it doesn’t matter what camera or technology you have,” he said. The indie scene is “a little bit more ‘alive’ on the East Coast. They receive 3000 films a year for the BFF, he said. It’s the biggest film festival in Brooklyn, and this year it runs from May 31-June 9 at indieScreen and next door at Windmill Studios. Another indie film crusader is reRun theater, located in a gastropub in DUMBO, Brooklyn. Since November 2012, it’s been partnered with Independent Filmmaker Project (IFP), America’s largest independent film nonprofit that mentors filmmakers from production to navigating the industry. IFP is based in the same building as reRun. Zachary Mandinach is in charge of reRun’s programming. A committee meets weekly and ultimately aims to choose “first-run indie films that wouldn’t have the chance to be reviewed in the New York Times,” he said. 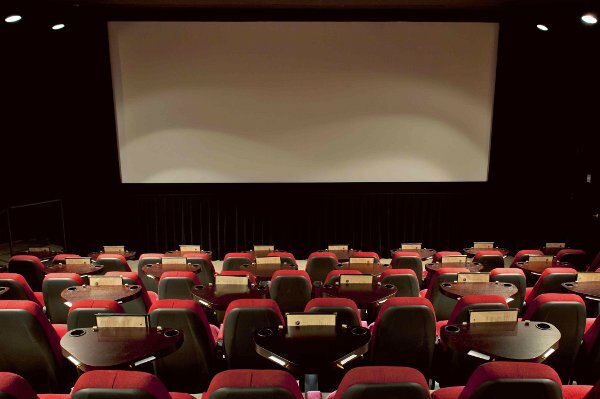 The films run seven days per week in order to qualify for reviews from the New York Times. There are unique events planned around the screenings, rather than just having filmmakers drop off the film and leave, he said. There’s usually a Q&A session with the filmmaker on opening night, and food and a full bar accompany the screenings. “Everyone has to be invested and excited for the film,” Mandinach said. While they often opt for films that are Brooklyn-based, reRun attracts audiences from Manhattan, too. “Why do it if it’s not going to attract a larger audience than the surrounding areas in Brooklyn?” he said. Matthew Viragh, founder and executive director of Nitehawk Cinema in Williamsburg, is kind of a hero for these Brooklyn movie theaters. In 2011, the cinema’s fight to change a Prohibition-era law outlawing booze in the movies in New York State succeeded. 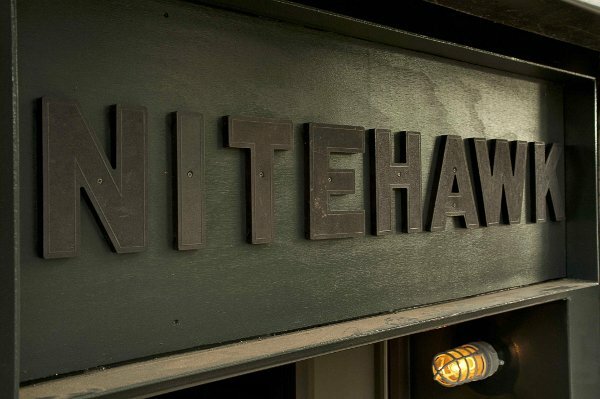 Nitehawk has two bars, and servers come around like silent ninjas during movies to take food and drink orders. They don’t talk to you during the movie; you have pencil and paper to write down what you want. “The audience is out for a night out,” Viragh said. The theater features specials inspired by the movies playing. They show a “hybrid of independent film and some of the more palatable mainstream stuff,” Viragh said. There are midnight features and brunches with retro films, too. “We steer clear of some of the heavier indie stuff,” he said. Matt Fortnow, a born-and-bred New Yorker, lives in L.A. now, where everyone knows what the term “in the industry” means, he said. 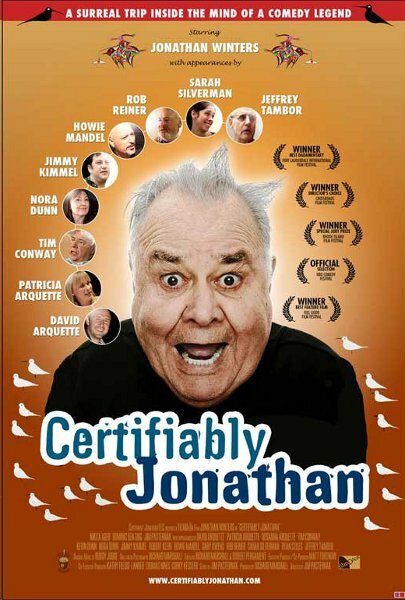 He served as executive producer of Certifiably Jonathan, released in 2011 and is working on other projects. “Trying to make movies solely in New York, it’s gonna be harder because there’s just less people out there doing that, and it’s such a collaborative effort to make a film. Certainly for bigger budget projects, you need to come out here to pursue that,” he said. So what is it about Brooklyn that keeps film people inspired? Even Fortnow plans to trek back to Brooklyn for purely that -- its character – for a film he’s working on. Lucas doesn’t see switching gears from New York to L.A., unless it’s for a particular reason, he said. Beth Kaiserman is a contributing writer at Highbrow Magazine.